Some airlines like American Airlines have predictable off-peak mileage discounts to various destinations, but there are also several programs that offer reduced mileage bargains throughout the year. Flying Blue is a European program created by two airlines, Air France and KLM. They run special mileage promos all the time, so if you are flexible and interested in flights between Paris or Amsterdam and the rest of the world, this is a great way to find incredible bargains. Note that Flying Blue does have a fuel surcharge, but unless you’re flying in business class it’s relatively modest. 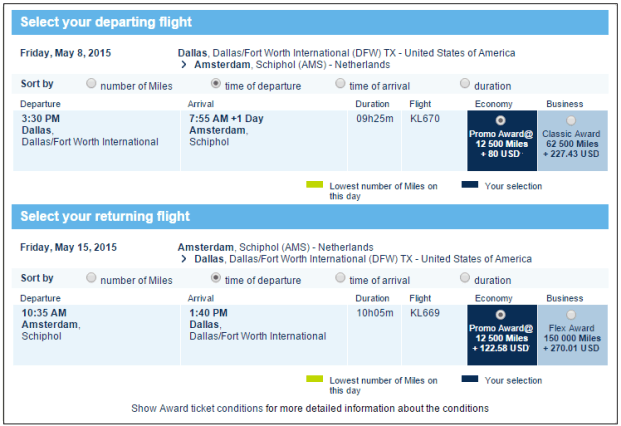 Taxes and fuel surcharges amount to a little over $200, which is quite reasonable considering the low redemption rate. It normally costs 60,000 miles to fly roundtrip between North America and Europe. A business class flight between North America and Europe can run as low as 62,500 miles per roundtrip, but the $500 in taxes and fuel surcharges makes it somewhat less appealing. You need to be a Flying Blue member in order to search for flights. Miles & More is Lufthansa’s frequent flyer program, but it also gives you access to Star Alliance members. While Miles & More bargains can be spectacular for example, 30,000 miles in economy and 55,000 in business per roundtrip between North America and Europe it also often has high fuel surcharges, which can be as much as $1,000 for premium class flights. However, there is an economical way to fly to Europe from North America by using Miles and More partner LOT. It is a Polish airline that has very reasonable fuel surcharges and flies to Warsaw and other Polish cities on a 787 Dreamliner. 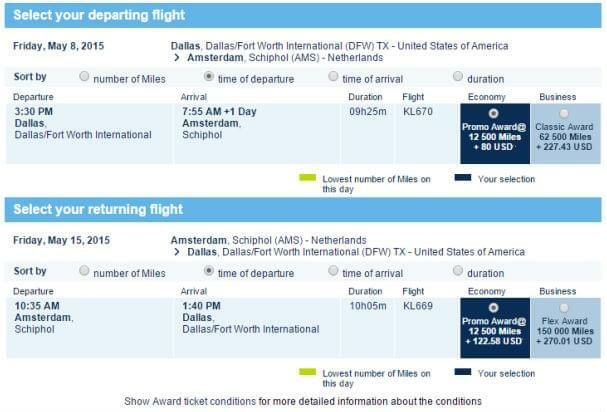 Even in business class, the fuel surcharge on LOT will only run you around $120 roundtrip. Compare that to $1,000 on Lufthansa. To search for flights on the Lufthansa website, you need to have enough miles in your account. Make sure to search for LOT, because Lufthansa flies to the same cities and will costs you a lot more. 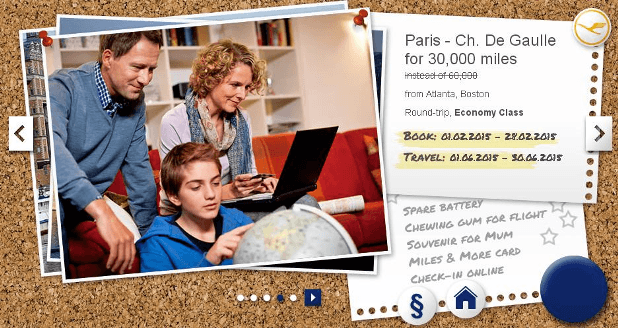 These discounted awards are only available for Citi AAdvantage cardholders. You can get up to 7,500 miles off roundtrip tickets for both economy and business class redemptions. Eligible destinations change throughout the year. 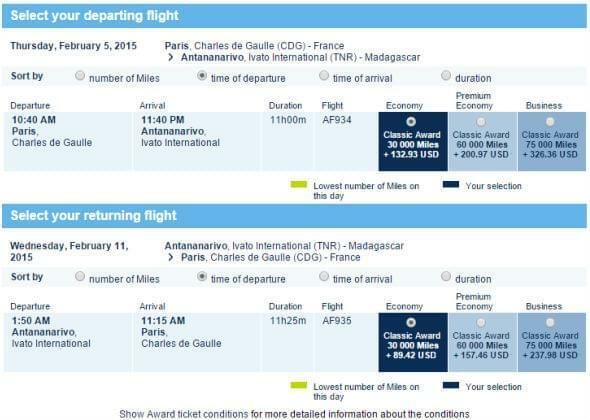 You can find the list here: Citi/AAdvantage Reduced Mileage Awards List. Look here for United’s offers. Currently United is offering discount for Star Alliance partners on flights to Japan. The best deal is on United partner airlines business class flights to Europe or Asia. United recently increased premium class redemption levels for partners, but this offer is a great chance to get a reduced redemption rate on United Star Alliance partners such as Lufthansa, Austrian, Asiana or Singapore with no fuel surcharge. Promo ends on February 28 for travel until December 31. If you are flexible and have miles in several frequent flier programs, using these year-long offers can stretch your flying power considerably and help you see new destinations along the way.